TIL it’s spelled “repellent” and not “repellant”. Or you can use both, apparently. Right you are! Fixed. Sigh, for some reason I only looked up one of the words. Ah, words that have Latin origins… So hard to get correctly for those who don’t speak Romance tongues. 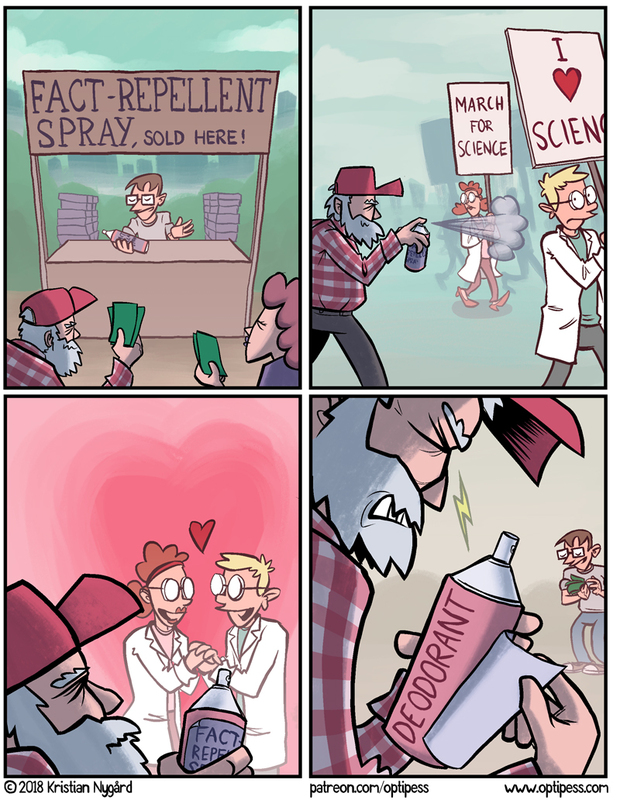 I like how the only thing keeping the scientists from love is their horrible, horrible body odour.